I first became aware of this remarkable book when two of my favourite bloggers posted reviews of it on the same day: they are both historians, and they were both impressed. Pascoe draws on the work of Bill Gammage, R Gerritsen and others as well as his own research make a strong argument for the reconsideration of our understanding of the way Aboriginal people lived in colonial times. He draws extensively from the journals of explorers to present a remarkable array of evidence about the agricultural and technological sophistication of Aborigines before contact. And Janine at The Resident Judge of Port Phillip linked the book to some recent unfortunate remarks made by our blundering Prime Minister. Bruce Pascoe’s book Dark Emu argues directly against the idea that Australia was ‘scarcely settled’. It was, he argues, very much settled in a way that forces us to reconsider the ‘hunter-gatherer’ label that is often used to describe pre-colonial Aboriginal Australians. There is much more to this exciting book than I have outlined here so I urge you to follow the links above to Yvonne’s and Janine’s reviews. They interrogate the book as historians do, with the expertise of their profession. As a teacher, however, I recommend it as essential reading for any educator. Dark Emu has been shortlisted for Victorian Premier’s Award for Indigenous Writing. Fishpond: Dark Emu: Black Seeds: Agriculture or Accident? As a librarian, it often falls to me to catalogue books for beginner readers, and it is in this genre that the ingenuity of Australian authors and illustrators never ceases to amaze me. Working with a very limited vocabulary and designing the book so that illustrations provide context clues to support the reader, time and again these incredibly creative people manage to come up with something different. This cute and quirky book by Shane Morgan is a good example. At 24 x 18cm, Look and See, meet your favourite Australian animals is a bit bigger in size than most books of its type, but it follows the usual design rules: short easy-to-read sentences on one side of the page, and a picture on the other. What makes it a bit different is the humour. The sentences are rhyming pairs, and the first sentence introduces the animal, while the sentence on the ensuing page shows the animal getting the better of the human. Look at the emu, running so fast. See the emu, he caught me at last. 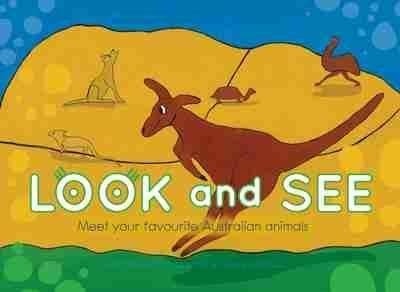 The picture that accompanies the second sentence shows the emu holding the human upside down by his undies – ouch! The animals are not just the ones you’d expect, there’s also a lizard and a turtle, and all of them have very cheeky faces. (My favourite is the frill-necked lizard with a great big cheesy grin). Shane Morgan is a descendant of the Yorta Yorta people of Victoria. He lives in Shepparton and studied the Advanced Certificate of Koorie Arts and Design at Goulburn Valley Community College, so I am hoping that he will go on to create more gorgeous books like this one. I haven’t come across too many other children’s books by indigenous people from Victoria and would like to see more of them. This unit forms part of our whole school plan for the ANZAC Commemorations for 2014-5 (which you can download from the same page). This year’s NAIDOC theme honours all Aboriginal and Torres Strait Islander men and women who have fought in defence of country. From our warriors in the Frontier Wars to our warriors who have served with honour and pride in Australia’s military conflicts and engagements across the globe. We proudly highlight and recognise the role they have played in shaping our identity and pause to reflect on their sacrifice. We celebrate and honour their priceless contribution to our nation. I would be rapt to get some feedback from teachers who download and try out the unit. Please use the comments box below. Repaying our debt to Aboriginal soldiers – The Drum (Australian Broadcasting Corporation). I’m going to kick off Indigenous Literature Week 2014 with a review of a delightful picture book called Tracker Tjugingji, by Bob Randall of the Yankunytjatjara desert people from Central Australia and a listed custodian of Uluru. The book blurb tells us that the author was taken from his family when he was 8 or 9 years old, and sent from Alice Springs to Minjala (Croker Island) off the north coast of Arnhem Land. A well-known story-teller and songwriter, he used this childhood experience to write the award-winning song Brown Skin Baby. Tracker Tjugingji, however, is not a sad story of the Stolen Generations, it is a celebration of traditional Aboriginal family life. Tjugingji is a little fellow who lives in the desert with his parents, camping in little windbreak shelters and sleeping by the fire. One day his parents let him know that he’s not to play too late that night because they are moving on in the morning, to a big lake, a long way east of where they were camped. Of course kids will be kids, and by the time he gets back from playing his parents (and the dogs) are all fast asleep, so he lies down beside his father and goes to sleep. That’s the Aboriginal way – you don’t wake your children when they are fast asleep. I expect this will raise a few eyebrows today when so many children are raised to be fearful of stepping outside their own front gate by themselves. But Tjugingji is not the least little bit alarmed, because he knows he can follow their tracks. He has his little spear and boomerang with him, and by walking around in a circle he soon picks up his parents’ tracks and sets off. Before long he picks up other tracks as well: he meets an assortment of wildlife who tell him that yes, they’ve seen his parents, and what’s more, they’ve been chased by the family dog. The snake, the perentie, the malu (kangaroo), the papa (dingo) and the emu all follow him to make sure that he doesn’t lose his way, and they all end up having an inma (dance to celebrate. The song they sing is included on a CD at the back of the book. (There is also a glossary and a pronunciation guide). The pictures, by Kunyi June-Anne McInerney, of Yankunytjatjara descent are gorgeous. A stunning sky blue contrasts with the rich red of the desert landscape, and as you can see from the front cover Tjugingji is a really cute kid with unruly curls and an infectious grin. In the classroom, I would use this book to talk about how Tjugingji managed to find his parents, eliciting that Aboriginal families in traditional communities teach their children the skills they need to know to manage in a desert or bush environment, in the same way that city children are taught to manage traffic in an urban environment. I think it would also make a superb stimulus for artwork with pastels or crayons, and art teachers could take the opportunity to talk about the Aboriginal mining of ochre, discussing the traditional routes and the trading that went on. (I would do this because I think the best way to counter the insulting ignorance of anyone who thinks that Australia wasn’t already ‘settled’ in 1788, is to teach children about the thriving culture that was here in Australian for 40,000 years or more, and survives to this day). If you have enjoyed a book by an indigenous author this week, please drop in at the ANZ LitLovers reviews page, and either leave a comment or a link to your review on your blog, at Goodreads or at Library Thing. I’ve been working on including Aboriginal Perspectives (aka the AC Aboriginal and Torres Strait Islander histories and cultures priority) in our new Year 1 & 2 unit on Past and Present Family Life (ACHHK030), and have included this title in one of the activities. I came across the Indigenous First Discovery series when book distributors Dennis Jones and Associates sent me three of their little books to review for Indigenous Literature Week 2014.
and they’re all illustrated with exquisite artwork by Debbie Austin, from the Kirrae Whurrong nation in western Victoria. Animals is a simple little book of symbols representing Australia’s native animals. There are footprints of wombats, kangaroos, dingoes and so on, all painted in the traditional colours of black, yellow, red and white. There is a legend at the back so that children can guess which footprints belong to which animal. People and places is similar, but the symbols are of fire, watering places, weapons and so on. I enjoyed trying to guess what these ones were, and will use this knowledge next time I try to interpret an Aboriginal work of art. At the Billabong features a cut-out circle representing a billabong in the middle of the book, and the text tells a simple little story about the creatures that gathered at the billabong on a hot day. The series was created to help raise awareness of the importance of using Australian Aboriginal symbols to teach stories top our young in all cultures, as they have been for over 60,000 years. In this delightful new range of books for babies and children, we discover the value of learning more about the spirituality of the Australian landscape and its indigenous people and embrace an Australian identity infused with existing native wisdom and lore. Suitable for kindergartens and prep classes, they would also make a very special gift to welcome a new baby, I think. Click the links to buy from Fishpond. Silly Birds is a delightful book with a clear message about the folly of joining in with destructive gangs. The artwork is stunning. Gregg Dreise is a descendant of the Kamilaroi people from south-west Queensland and north-west New South Wales. The youngest of eight children, he grew up in a family that valued sport, music and poetry, and was inspired to write by his mother, Lyla Dreise-Knox, who has been writing poetry for decades. Maliyan is an eagle who comes from a loving family that’s very proud of him. They teach him to be a good listener, and to remember that talking too much is only for wombah thigaraa – silly birds. So Maliyan becomes a well-respected bird, until he meets up with Wagun, a bush turkey and a braggart, a boaster and a bird that’s careless about others. Alas, Maliyan is attracted to Wagun because of the fun they have, mocking the Elders – and talking, talking, talking. The gang doesn’t listen to the Elders, and they cause a lot of trouble, especially when they pollute the billabong with their rubbish and cause food shortages by taking more than their share. Fortunately Maliyan responds to his parents’ concern in time and he decides not to hang around with the turkeys any more. With help from the Elders he changes his ways and gets back his ability to see and hear things from a long way away. The other birds respect him again, and follow his example. All except for Wagun. He loses his ability for soaring flight – and his friends – and is reduced to scratching around in a limited world. Like many indigenous stories I have read, Silly Birds has an explicit moral, but it is not didactic in tone. This beautiful, brightly coloured and superbly illustrated picture book is a 21st century way of doing what our indigenous people have always done – teaching their children through the arts. In indigenous oral culture, children learned what they needed to know through story, song and dance. Making the transition into print means that we can all share the story, no matter where we live. Gregg has also made a very 21st century book promo at YouTube! I am pleased to announce that ANZ LitLovers will again be hosting Indigenous Literature Week in the second week of July to coincide with NAIDOC Week here in Australia. (6 to 13 July). This is a week when Australians celebrate the history, culture and achievements of Aboriginal and Torres Strait Islander peoples and this year the NAIDOC Week theme is Serving Country: Centenary & Beyond. ANZ LitLovers’ contribution to NAIDOC is to celebrate all forms of Indigenous Writing, and I hope that many of my readers will join in and read a book by an Indigenous author. If you would like to participate, your choice of indigenous literature isn’t restricted just to Aboriginal, Torres Strait Islander and Maori literature. Participants are welcome to join in reading indigenous literature from anywhere in the world, from Canada to Guyana, from Native American to Basque to Pashtun or Ixcatec. (For a list of indigenous people of the world, see this list at Wikipedia.) As to how we define indigenous, that’s up to indigenous people themselves. If they identify as indigenous themselves, well, that’s good enough for me. Thanks to contributions from a fantastic bunch of participants in ILW 2012 and 2013 the reading list is growing. For reasons of space and time and personal preference my ANZ LitLovers reading list is limited to literary fiction titles by indigenous Australian and New Zealand authors but participants are free to choose any form you like – short story, memoir, biography, whatever takes your fancy! The permanent link to my reading list (and to other sources) is on the ANZLL Books You Must Read page in the top menu. I plan to generate a reading list of children’s books by indigenous authors here at LisaHillSchoolStuff as well, but for the time being please visit the one at ANZ LitLovers . Thanks to all those who joined in last year and have encouraged me to host the week again. Interested? Sign up now to give yourself time to source the book you want to read. Click this link to go to the ANZ LitLovers page. Indigenous War Service: this unit is (with permission) adapted from Indigenous Service, a resource for primary schools published by the Shrine of Remembrance in Melbourne. Please note that I have changed some of the activities and worksheets to allow for more deep thinking and more use of thinking tools. I will develop the resources for these as I need them, and plan to upload them here, but if I forget feel free to remind me with a request using the comments box below. Please note also that the unit as planned by the original authors is very comprehensive and would take two terms to teach in a typical one-hour per/week library program. So I have split the unit in half, with the first three investigations being taught in even years and the other three in odd years. 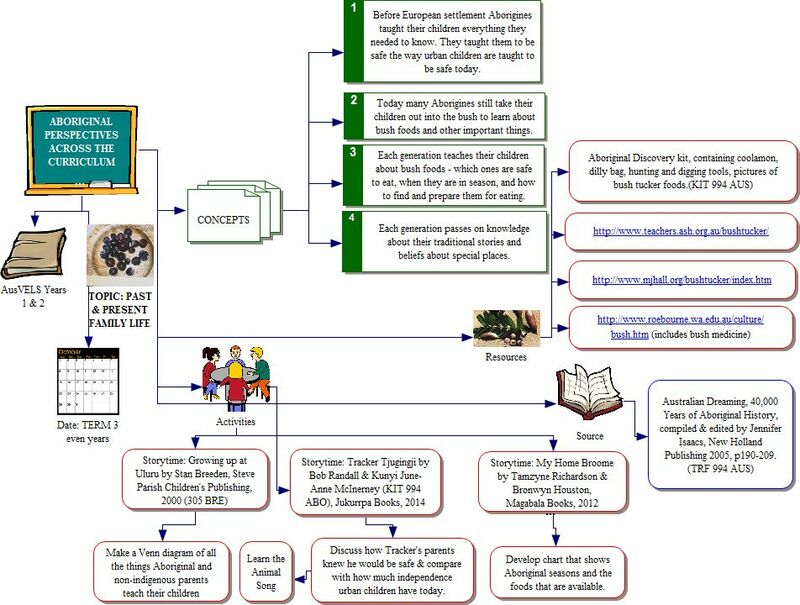 Finally, note that this unit is part of our whole school ANZAC scope and sequence plan which you can find here. PS I’m also going to whip up a lesson or two about Jandamurra (1873-1897), the Kimberley warrior and indigenous patriot who tried to defend his country against European settlement in the 19th century.